This 100th edition of our newsletter marks the end of our publication. We have now been publishing this newsletter for ten years. The first number was published in November 2003, and since then, we have managed to send out 10 numbers a year. Apart from the beginning, all the newsletters were in four languages: French, English, Spanish and Portuguese. Since 2009, our friends in the Seikatsu Club in Japan have published it in Japanese, and since October 2012 our friends of AKSI UI have published an Indonesian version. It was essential to us to publish in different languages, because our objective was to share the achievements of local actors from all over the world. We have various different reasons for deciding to stop publishing the newsletter. Our early readers will remember that this is a strictly voluntary initiative, and was planned from the outset as a temporary measure, with the idea that an organisation would take over the work. Even if none have done so, the information that we have shared in the Newsletter are passed on and shared in several other international networks that have relayed the ideas and increased our readership numbers. Over the years, we have examined key questions from all angles, and illustrated a path that is shared and practiced by many others, that of encouraging people to take responsibility for their own development, rather than waiting for external or institutional solutions. This is why our respective roads have led us to take on responsibilities to carry our convictions forward at a more global level. And we hope that you will also understand that we no longer feel able to devote the necessary attention to the very demanding work that producing a quality newsletter requires. This is why we have taken the deliberate decision to stop publishing. Finally we would like to thank our faithful subscribers, and extend our heartfelt volunteers who have supported the revision and translation process of our newsletter: Évéline, (Yvon’s sister), who has translated articles into English, Michel Colin who has translated into Portuguese since 2006, as well as Brunilda Rafael and Paula Garuz who have in recent years been responsible for the Spanish version. Our thanks also to Daniel Tygel in Brazil for the newsletter template that we have been using since 2007. Finally, we wish to pay homage to our dear friend Francisco Botelho, who passed away in 2008. It was he who persuaded us in 2003 to start this newsletter to maintain the dynamics of pooling knowledge. It has been every bit as much his work as ours. The origins of our project are founded in the organisations in which we were involved. We first met towards the end of the 1990s, as we were all involved in close international networks. In 1998, I was a member of the organising committee of the Global Meeting for Community Economic Development that took place in Sherbrooke in Canada. The 800 participants included a 15-member delegation from the Délos-Constellation association, led by the Portuguese. They announced their intention to host the next meeting in Portugal in 2002. Martine was a founding member of this association. This project provided us with the opportunity to meet up in 2001 and 2002 in Europe and in Quebec, and to get to know Francisco Botelho, one of the organisers of the planned meeting in Portugal. For various reasons, essentially the change of government in Portugal that marked the beginning of the return of the right in Europe, as internal difficulties in the Portuguese organising committee, the planned project was cancelled at the end of 2002. In April 2002, I was also a member of the provisional committee established after Sherbrooke to set up an international network of sustainable local development. For reasons beyond our control, this project also came to nothing. In spite of the inability of our respective organisations to move forward on these projects, essentially due to financial constraints, we built a solid basis of friendship based on a shared vision of bottom-up development grounded in empowered communities. In October 2003, we took advantage of the opportunity provided by a meeting on social territorial innovation that was being held in Poitiers, in France, to hold a Délos-Constellation meeting. The evaluation of the failure to hold the planned meeting in Portugal led to the decision to dissolve the association. Francisco Botelho heavily insisted on the need for some continuity. This was what led to Martine, Francisco and I to launching the International Newsletter for local development, adding the idea that development needed to be sustainable. We worked very closely as a team, based on our shared vision to ensure that our ideal of local to global was a living reality. Martine, Franscisco and I were the members of the editorial committee from November 2003 until March 2008. Following Francisco’s death, Judith, with whom we had maintained close ties all those years, joined the editorial committee. History has shown that the idea of political organisation of global meetings by practitioners was a determining factor. Canadian organisations, especially those based in Quebec, organised a meeting called “The Local in Action” in Montreal in 1988, followed by the Sherbrooke meeting in 1998. The latter provided the opportunity to connect with actors of the new social economy (or solidarity economy) who had held their first meeting in Peru in 1997. So it was quite natural for Quebec to host the 2nd Global Meeting of Solidarity Economy in 2001. The relay was passed on: first Dakar in the South in 2005, followed by Luxemburg in the North in 2009, and soon to Manila in the South later this year. It is a great source of satisfaction to observe that the territorial approach to social and solidarity economy has been carried forward in our newsletter by a team that has testified to these two citizens’ movements from the first issue to this number 100. Writing this final article fills me with a sense of a mission accomplished. Even more, these last ten years as head of the editorial committee have enriched my life experiences, possibly more than they have to the majority of readers. It has been a fantastic learning journey. And looking at what is happening in so many places, I feel optimistic about the future. People everywhere are demonstrating that it is possible to live differently; they may still be a minority, but if humankind is to survive, they will need to become the majority. My observations of the last ten years have confirmed what I already knew, which is the importance of the approach of local to global. It is to this that I intend to continue devoting myself through involvement in the organisations, networks and coalitions that organise such change. The networking of social and solidarity economy has progressed considerably since 2003. We have added our work to this movement, through our respective organisations. Our contribution is in line with our newsletter, based on the logic of territorial anchoring of SSE (Social Solidarity Economy). We were in Dakar in 2005, at Lux’09, and we shall be in Manila next October. Another more personal reason explains why I wish to stop publishing the newsletter. Putting a publication like this together is very demanding (to meet publication deadlines, to ensure that translations get done on time, layout, mailing, even when I am travelling internationally). Obviously, it would be possible to share other wonderful stories/experience of local development, because they exist in their thousands. But I feel we need to go beyond reporting as we have done, because this perforce remains a little superficial. I therefore feel the need for more time to analyse this experience, and to share my reflections and lessons learnt, as well as to consolidate my ideas on the subject. I have already started writing the analysis of what I have seen and learnt. But due to a lack of time, I have had to put it on the back burner for the last year. This newsletter aimed to demonstrate through examples that people are ingenious and have the ability to organise themselves on a daily basis wherever they live. Each issue of the newsletter presented initiatives, forms of organisation, tools and participatory methods and the results they have achieved. This on-line newsletter, published in four languages has helped to document lasting “learning stories”, and their general impact in terms of providing alternatives, through this modest but significant readership. The newsletter has had a new category of readers in different cultures around the world. There are innumerable examples, and they are increasingly well connected…. Another twenty years would not suffice to list them all, and so much the better…! At this point in time, we feel we have achieved our objective. Sustainable local development as well as solidarity economy have become more visible and have contributed through real-life examples to making territory considered as the geographical basis for organising local solidarity, as well as connecting with more distant places to carry shared struggles forward and change the system. Nor have we hidden the way in which the globalisation of the economy has dispossessed inhabitants and appropriated their resources: those that lie underground, their heritage, their land, their lives, etc. with an increasingly greedy desire to accumulate profits. The dominant media testify in wonder to the “global” achievements that are technological in nature, but remain silent on the price paid for this untenable development model, so lacking in solidarity. How can we break this framework? Local and Global can no longer be considered as separate. But it is where people live and in terms of their genuine contexts that solutions become viable. And this is not just a local issue. It is the basic question of access to the fundamental human right to live in health, security and peace. This is something that concerns each and every one of us. At this stage in our lives, – well into our sixties – we need to take stock of the fact that our actions still have too little influence for the transitions to measure up to the challenges. This analysis is why I have decided to use my experience to help transmit it to the new generations that carry the hope for the world. Many young people are committing to very uncertain paths because they are hopeful. To invent their solutions, they are looking for references. This is where I feel socially and personally useful in the coming years. 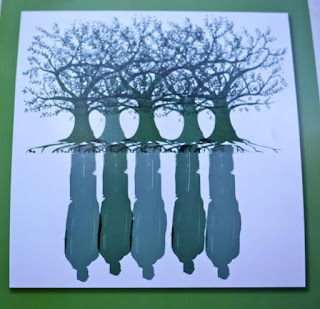 How can learning from one another help each of us move forward? Or to jointly carry forward proposals? Bearing witness again and again on the basis of practice, because in the current impasse, they are the main potential of available alternative resources. - To highlight how they succeeded in lasting, renewing, strengthening or changing and transposing to other contexts… Much information exists on innovative practice, but little on how to get a handle on the future when institutions block progress. - With an additional question: how can the answers that have already been identified and/or are emerging make sense, become more numerous so as to push back the dominant positions and help the globalisation of solidarity through new regulations and concrete collective proposal become operational? “Theme 3 will concentrate on the way in which existing initiatives of SSE organise their economic activities and their inclusion in networks and value chains. In this theme, territoriality and sustainable development are the key elements that should be present in all discussion is a crosscutting manner”. RIPESS Europe has mandated the European P’acts to moderate the preparation of theme number 3. An international internet forum is now open to update the audit and analysis that was carried out in the preparation of the RIPESS in Europe “Lux’09” on the “democratic participation and territorial grounding of solidarity economy”. We shall use the consensus that was reached at LUX’09 to invite people to contribute. The definition of “territory in the global context” is the outcome of an international internet forum (July-September 2009) and was presented by Yvon in Tokyo during the 2nd Asian Solidarity Economy Forum (ASEF). What do we mean by territory? The need for new structures and forms of organisation (institutional, economic, social but also transversal, financial, fiscal, technical, etc...) These solutions need to be created by good territorial governance. - Improve the daily lives of people and communities? We would like to invite our readers to join us in this internet forum that may help a new editorial team to emerge?? Or maybe continue our journey on other paths? The Food Sovereignty movement is twenty years old. Founded by the Via Campesina (viacampesina.org), who now represent over 200 million producers, small-scale family farmers, landless peoples’ movements and urban poor, 180 organisations in over 80 countries. It is also supported by allies, such as Urgenci (urgenci.net), Friends of the Earth (foei.org), the ETC group (etcgroup.org), TNI (tni.org) and many others. What is the connection between food sovereignty and sustainable local development? How has this dimension evolved over time? Where is it going now? A number of parallel processes have occurred in the last couple of decades; they have not necessarily been fully documented as yet in terms of their interconnections. On one hand, the increased stranglehold by multinational companies of our production systems has become more extreme in the neo-liberal phase of capitalism. In the case of food, which is a fundamental human right, this has involved global land-grabbing, patents on living organisms and seeds, combined with increased GMO technologies applied to plants and livestock, use of pesticides and other chemical inputs and total control of human food chains as well as water supplies. Hardly what readers of this newsletter understand as sustainable local development! It is something that the Food Sovereignty movement is very actively fighting on the ground, sometimes at the cost of human lives, because what the transnational seed merchants, agro-chemical and agribusiness corporations are trying to foist on our society would literally be the death of us, and the planet as we know it. The counter-movement to this destructive practice is the combination of Food Sovereignty and solidarity economy, which together provide most of the answers. Almost all of the various articles I have had the pleasure to write for this Newsletter have tried to shed some insight into how this is happening in the various parts of the world, by describing the wonderful projects I have been fortunate enough to visit and in which I have been involved. Those of us who have the privilege of working on these issues are aware that all the solutions to feeding the world’s growing population do exist; that achieving the human right to food implies following the road of sustainable local development in the real sense of the term, not just mere lip-service or green-washing by CSR (Corporate Social Responsibility), or pseudo-green governmental policies. There are so many solutions that could be scaled up: small-scale organic farming, Community Land Trusts, Community Supported Agriculture and other emerging direct distribution systems like WI (Without Intermediaries) in Greece, genuine farmer’s markets, community gardens, allotments, edible landscapes, transition towns…and the list goes on. Much progress is being made at UN Institutional level by the Civil Society Mechanism (http://www.csm4cfs.org/) to drive Voluntary Guidelines on Land Tenure, Governance of Forestry and Fisheries as well responsible agricultural investment through the reformed Committee for World Food Security of which it is part. The Food for Cities programme of the FAO, where Urgenci is also active is also helping define global food policies for 2014-2020. FAO consultations in 2012 with civil society for Europe and Central Asia in Azerbaijan involved a keen examination of how solidarity economy can be part of building sustainable local development that includes food security and food sovereignty. More recently, the ILO and UNRISD have expressed their interest in solidarity economy, including Food sovereignty as potential ways of overcoming the global crises. We have tried to inform our readers of some of these aspects in various issues. What remains to be done if we are to combat and mitigate climate change and to build a more sustainable local and indeed global form of development is to now join the dotted lines between these and the other key elements of sustainable local development: complementary currencies to demonetarise local trade; community banks; renewable energies; community driven services and sustainable forms of property ownership, and last but not least, more direct democracy and participatory budgeting. The articles published in this Newsletter over the last ten years have illustrated most of these themes. What remains to be done is to carry this movement forward through our networks, and document the progress made. Being part of this Newsletter has helped me to mature in terms of my personal development and learning journey. It has been a privilege and a pleasure to be part of this team, to share and to make a small contribution. This Newsletter is published in French, English, Spanish, Portuguese, Bahasa Indonesia and in Japanese. It has been produced on a voluntary basis since the first issue in 2003. We also wish to thank the Civil Policy Research Institute (CPRI) of Seikatsu Club in Japan for the Japanese translation and AKSI UI for the translation to Bahasa Indonesia. Pactes Locaux, presented in Tokyo, Asian Alliance for Solidarity Economy, November 2009. 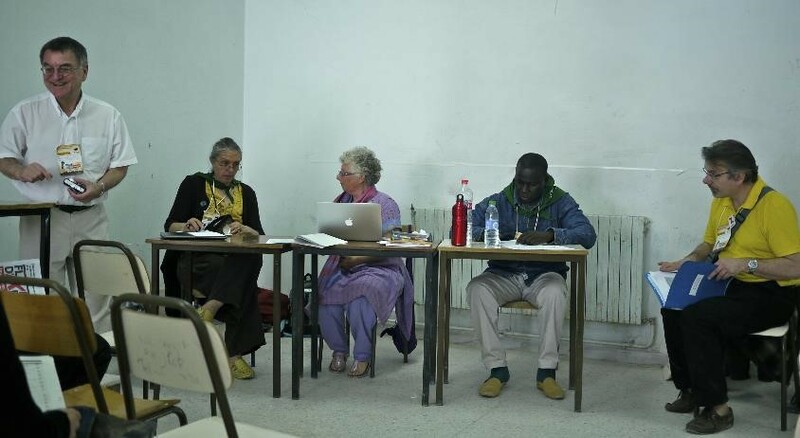 During the WSF 2013, both Judith and Yvon were in Tunis and jointly spoke in a workshop dedicated to food sovereignty. This is a resume of the workshop. It was written by Morgane Iserte of Urgenci. Yvon also represented the Canadian Community Economic Development Network (CCEDNET) at a meeting that took place in Haiti. It was aimed at discussing how to network Social and Solidarity Economy in the Americas. As an American minority group, initiatives of this kind are often powerful tools for improving day-to-day living conditions. 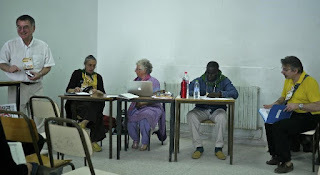 Solidarity economy strengthens peasant agriculture and food sovereignty Workshop at the WSF 2013. Co-organised by the Via Campesina and URGENCI, with the support of RIPESS. Speakers: Yvon Poirier, RIPESS North America and Canadian Community Economic Development Network) CCEDNET), Quebec; Josie Riffaud, Via Campesina, Confédération Paysanne, France; Judith Hitchman, URGENCI, France-Ireland; N’Diakaté Fall, Via Campesina, Conseil National de Concertation et de coopération des Ruraux (CNCR), Senegal; Jean-Michel Dupont, MIRAMAP, France. JR: The Via Campesina is active among other things in establishing new ways to provide food. But in France, small-scale peasant agriculture only represents 4% of the active population; they therefore need support to lobby and help implement food sovereignty now! There are two ways of defining food sovereignty: 1) it is an international right, fighting against the WTO’s policies, and aimed at protecting local peasant agriculture against unfair competition of big agribusiness and factory farming. 2) It is also a vision of local agriculture that is part of local solidarity networks, and that supports exchange with the Earth and all living things. JH: URGENCI is an international network of local solidarity partnerships between producers and consumers that brings together Community Supported Agriculture initiatives everywhere in the world, with conscious consumers supporting local producer to jointly share the risks and benefits of peasant agriculture and support farming through fair prices for their produce; the money is paid up-front to producers. URGENCI’s activities are at the crossroads between food sovereignty and solidarity economy. The network builds alliances with the world of peasant agriculture and the organisations that promote other parts of the local solidarity jigsaw (complementary currencies, energy, Community Land Trusts…). NF: The Conseil National de Concertation et de Coopération des Ruraux (CNCR) brings together various Senegalese organisations that work for the protection of small-scale family farming in a country where 70% of the population are still small-scale farmers. Farming is the single biggest employer! Since 2000, CNCR has been running consultations to support the development of short food circuits and encourage both producers and consumers to eliminate the middlemen who are the main hurdle to determining fair prices. Since the 2008 food crisis, this process has accelerated. An example of this is bread, with a round table discussion that was organised with bakers and peasant farmers who mill the millet flour themselves as well as consumers. They jointly determined the price that they all found satisfactory. People living in cities are finding it increasingly difficult to source local products. Almost everything is imported, as these imported foods are subsidised, and therefore cheaper, so distribution networks for local produce is a major issue. This is being met be introducing many local neighbourhood shops, that are run by womens’ groups. J-MD: MIRAMAP is the inter-regional movement of Associations to Maintain Peasant Agriculture in France. It includes 8000 families and 2000 producers. AMAPS were first created in 2001, and have three objectives: rebuild social relationships between rural and urban dwellers; producers and consumers; promote sustainable small-scale family farming, popular education (for example, to determine the price of the box, producers and consumers in a CSA openly discuss the farmer’s needs, what would constitute a fair price, the investments that the farmer needs to make etc.). 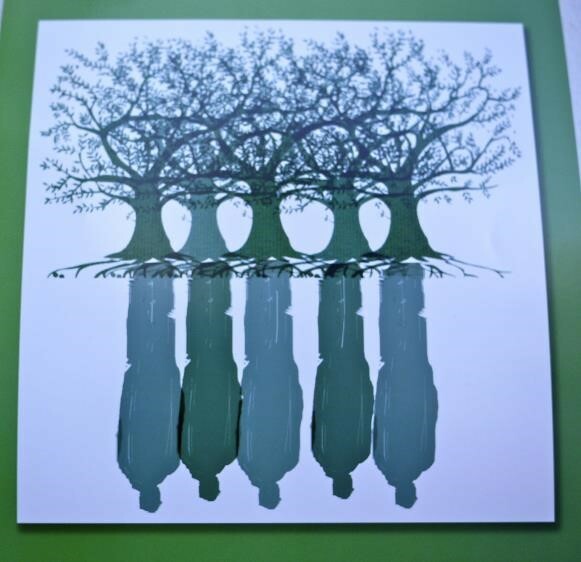 Solidarity, transparency, proximity and the respect for nature are the core values of each CSA. AMAPs have had to cope with two problems as the model has spread: that of access to land (they work with Terre de Liens), and that of how young farmers can establish themselves (cope with the costs, training etc.). There is an incubator for agricultural activities in the Paris region called Les Champs du Possible (Fields of Possibilities). (http://www.amap-idf.org/champs-possibles-couveuse-activites-agricoles_28.php). Recurrent issues are certification, availability for all and solidarity baskets. YP Yvon spoke about a Japanese consumers cooperative that was established in 1965 by some pioneers whose objective was to improve the quality of life, following the Minamata scandal. The objective was to provide fresh, uncontaminated food. This cooperative, called the Seikatsu Club, now includes some 350,000 members, who invest between 1-2000 USD each. The full presentation is available at: http://www.socioeco.org/bdf/fr/corpus_document/fiche-document-1664.html). It is based on a vision of overall social and political change. Out of the 21 consumer cooperatives in Japan, only 3 are involved in direct buying and selling. The Seikatsu Club continues to encourage short distribution circuits in Japan. Seikatsu Club buys directly all from partner producers. The challenges are important in Japan. For example, 200,000 tons of the 240 000 tons of organic produce that are consumed are imported products. But the underlying question of the 500,000 unemployed of Tunisia was the key issue in the discussion: what is their future, if not through social and solidarity economy? It could be said that it already exists, as traditional economy is based on local relationships and products. In Tunisia, 75% of farms are family market gardens of less than 2 hectares. What mechanisms are concrete forms of organisation such as cooperatives etc. can help it to develop most effectively? And help establish productive activities that will provide employment for young people? The role of local authorities in building SSE in a way that meets each territory’s need is crucial to meet the needs expressed by local inhabitants and to relocalise jobs and ensure local food sovereignty. The Centre de la francophonie des Amériques organized a meeting in Cap Haitien, from April 30 to May 2. The objective of this meeting was to promote the discovery of approaches and practices of social and solidarity economy (SSE). For the Centre, solidarity and social economy draws its strength from the heart of collective sustainable development practice and contributes to building a more just and equitable world. French is the 4th most widely spoken language in the Americas, coming respectively after Spanish, English and Portuguese. As a minority group in the Americas, it turns out that the SSE could be an indispensable tool in many communities. In addition to representatives from Quebec and Canada, there were participants from Louisiana, Guadeloupe and Haiti. The idea of setting up a network for the exchange of information on SSE in the Francophone areas of the Americas is seen by participants as very relevant. We, from the Chantier de l’économie sociale and the Canadian Community Economic Development Network (CCEDNET), both members of RIPESS North America, were partners of the Centre in holding the meeting.